Sony has announced plans to launch an Uncharted 4: A Thief’s End PlayStation 4 console that features artwork of protagonist Nathan Drake. 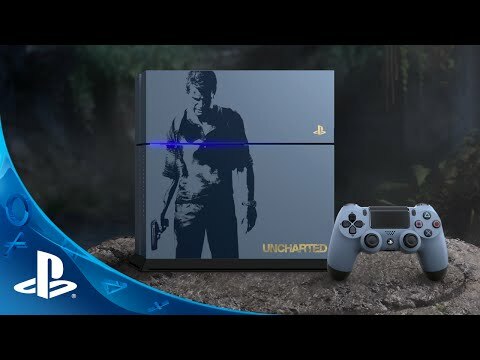 The system will launch alongside the game on April 26th, and includes a gray blue console and controller, and a physical copy of Uncharted 4. Sony does confirm on a PlayStation Blog post that the controller will be available separately in early March for $64.99. Uncharted 4 was originally slated to launch in 2015 before being delayed into March and then again in April. A Thief’s End will mark Naughty Dog’s final game in the series and members of the studio have hinted that Nathan Drake may not make it to the end credits. For more on Uncharted 4, check out our thoughts on how the series should end.